FUJY DE KONERO lives in Accra, Ghana, Africa. But he has reached out across the ocean to a Jamaican music company that he hopes will be his bridge from Africa to Jamaica, home of his favourite musical genre. Elvin K Fujymorre was born in Accra. His friends calls him De Konero which means THE TOUGH ONE. Fujy was a very outspoken boy and became known in his community of Kwashieman, Accra for his profound views, especially those which pertained to key issues of the time: social injustice and African people. As a result he wanted to be a lawyer to help people, but Fujy was musically inclined from his youth and he felt it was a manifestation of God that made him chose a career in music. EARLY CAREER His early musical interest was rap and he loved hip-hop so much that he even wrote rap songs instead learning his notes in class. Even though he wanted to achieve his mother’s dream of becoming a lawyer, instead he was using his note books to write hot lyrics for his class mates and himself. Always looking to reach wider audiences, Fujy searched the social media until he found a sound he liked on Facebook at MultiCast Records, a Jamaican label who liked his work and uploaded a riddim. Fujy has worked with several beat producers around the world and has recorded with international artists like Jamaican dancehall star Rseenal Di Artillary , Sir Giant – one of the best beat producers/musicians in Portugal and he also did a “Refix” of Asa’s Jailer song. Now signed to MultiCast Records, his first single “QUEEN OF THE NIGHT” will be released shortly. Meanwhile, this video “Outta De Slum” shows his talent. 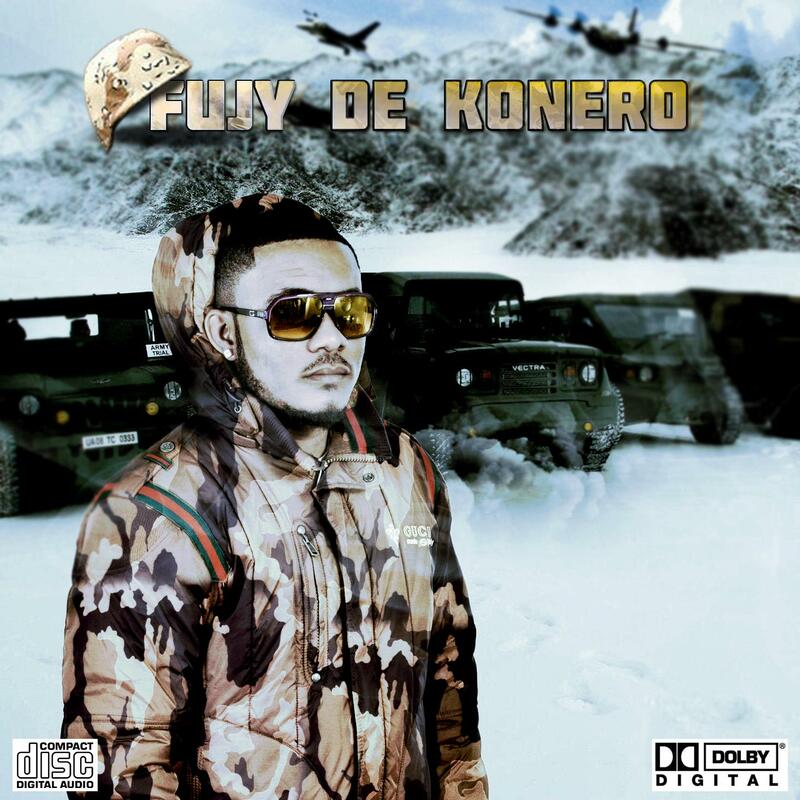 REGGAE TALENT IN AFRICA Fujy De Konero is one of the fresh hottest reggae-dancehall, hip-hop artists in Africa with international potential, whose strong voice and lyrical talent will continue to give him nonstop hits. His career is truly a unique one and shows that reggae music continues to build a strong link between Africa and Jamaica, especially through the younger generation of artists. Mrs. Barbara Blake-Hannah’s company JAMAICA MEDIA PRODUCTIONS has restarted its operations as a Public Relations and Communications service to the Jamaican music industry. The company successfully handled the media relations of the recently concluded REGGAE FILM FESTIVAL, issuing releases, blogs and digital messages that informed the media of the event’s plans and personalities, and provided material for their press, radio and TV stories. In 2011 JaMediaPro launched Jamaica’s first solar recording studio Sugashak Records and promoted its first single “Go Roun’ Dem” by singer Keke-I to national attention. As a journalist, Mrs. Blake-Hannah has been covering the entertainment industry for various newspapers, radio stations, internet magazines and blogs for many years. Her knowledge of the industry and its chief stars is legendary, having written articles about all of Jamaica’s great musicians and musical moments since the 1970s. Mrs. Blake-Hannah’s list of former clients include Sizzla Kalonji, Aidonia, Norris Man, Turbalance, Buju Banton/Gargamel Studios, Lutan Fiya, Teflon and Droop Lion, and she has written articles and reviews of all Jamaica’s major annual music events, album launches and special celebrations. Since its inception in 1998, JaMediaPro has showcased the younger generation of reggae music-makers who are breaking new ground while holding fast to the traditions already set by the icons of Jamaica’s unique culture. This re-launch of JaMediaPro’s operations will enable the company to shine the Spotlight on the career development of a select group of new Jamaican artists with planned programmes to bring them to public attention via the electronic, print and digital media.With decades of experience as a foundation, JAMAICA MEDIA PRODUCTIONS offers quality services to Music Artists and Companies seeking to create and establish an effective national and international media presence.